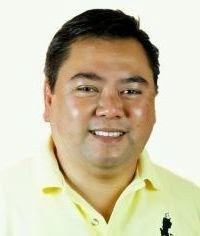 NAGA CITY--- Mayor John Bongat of this city has signed the P751.39M annual budget for 2014 to fund the implementation of the city government programs, projects and services for the current year. Bongat said this year's city budget, with some P45.39 million increase from the P706 million annual budget in 2013, will ensure the efficient delivery of programs, projects and services specifically to uplift the way of living of the communities, especially the grassrots, while it is also expected to boost the business potential of the city though creation of more jobs and implementation of developmental projects. The big chunk of the budget accounts for personnel services totalling to P306.08M, while maintenance and other operating expenses get P136.31M, capital outlay with P27.49M, special purpose appropriation amounting to P72.15M, local development fund with P73.54M and local disaster risk reduction and management fund allocated with P35.82M. City councilor Gabriel Bordado, chairman of Finance and Appropriations Committeeof the Sangguniang Panglungsod here, said that the budget went through exhaustive series of deliberations, ensuring that allocation will be enough to cover the needs of the Naguenos and just pertinent to sustain the city’s development agenda. City vice mayor Nelson Legacion meanwhile stated that there are new programs which will also benefit from the 2014 appropriations, including the Naga River Revitalization Program with P7.5M allocation, central bus terminal allotted with P3M, Naga City Community College with a budget allocation of P1M and the Naga Community Based Barangay Employment Program with P2.05M allotment. Additional fund was also apportioned for the Liga ng mga Barangay and for proposed infrastructure projects and other projects to be implemented in the 27 barangays of the city. Fifty-two percent of the approved 2014 annual budget will come from the city’s own resources specifically from the real and property taxes. The city government has executed an effective tax drive which resulted to an upward trend in the city’s business tax collection. The City Treasurer’s report shows that during the first months of 2013, Naga City has already generated P153,538,651.48 taxes from various business establishments who executed confidence in conducting their commercial transactions in the city.